On a hot and muggy afternoon recently, I worked at the MD State Fair in Timonium at the honey booth selling honey products. As a MD beekeeper, you are encouraged to work the fair for a shift to help our group, the Central MD Beekeepers Association, sell members honey. While there, I got to meet Danielle Dale, a prior 2011 Wisconsin Honey Queen, who competed and won the national title of Honey Princess 2012, to represent the American Beekeeping Federation. Danielle is 20 years old and from Sparta, Wisconsin and is a 3rd generation beekeeper who began beekeeping at age 12. 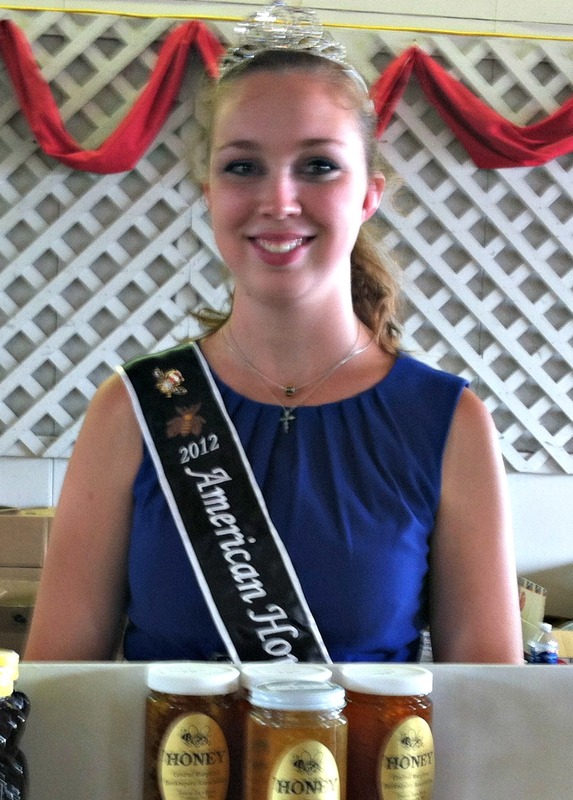 There is also an American Honey Queen that does similar promotions around the country. For Danielle, being selected as the American Honey Princess is quite an honor, and she gets to travel all over the country as the spokesperson for the American Beekeeping Federation, giving demonstrations and talks about beekeeping. Go to https://www.facebook.com/#!/AmericanHoneyQueenProgram to see Princess Danielle and Queen Alyssa in action. They do lots of fun things like roll beeswax candles with kids, make foods with honey, and give interviews and talks about honey. The American Beekeeping Federation represents beekeepers and honey producers throughout the United States and relies on Danielle and Alyssa as their ambassadors throughout the country, so Danielle really has to know beekeeping inside and out. And she does! After talking to her and hearing her explain the demonstration hive to the fair goers, she impressed me with her breadth of knowledge. And that is the main criteria that the Honey Princess is selected on. She was poised, and even though the heat was stifling in the exhibition hall, Danielle always looked cool and calm. I was dripping sweat from being there for just a few hours, but Danielle who is from Wisconsin and not used to our sauna-like weather, was there all day and never complained. She was dressed in a dress, tiara, and nylons, so I felt for her! 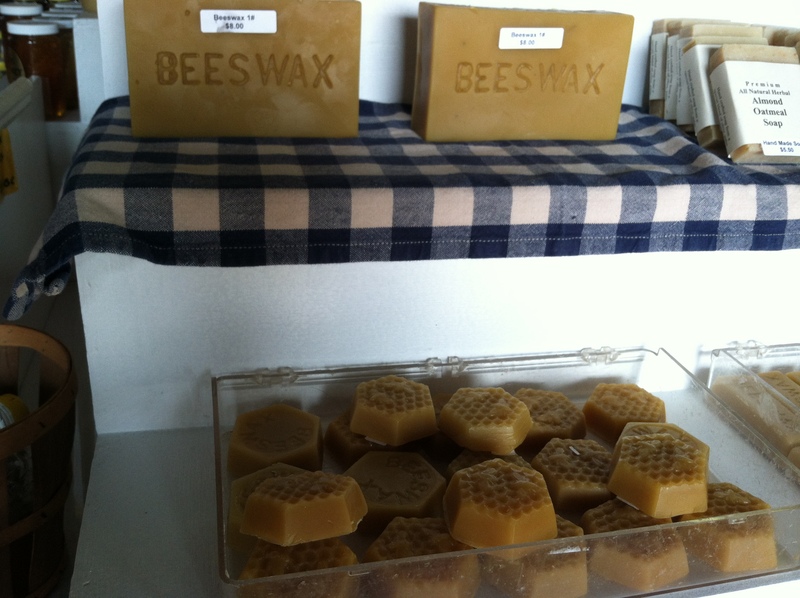 There were exhibits, bee products such as soap, honeycomb, honey, gift baskets, honey sticks, and candles on display and for sale. 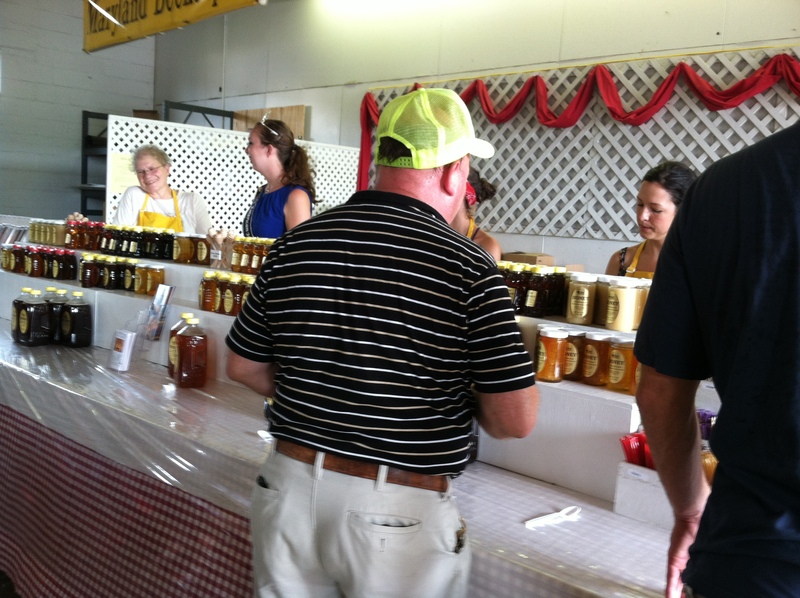 We were deluged with hordes of people who wanted to taste the different varieties of honey and creamed honey for sale. We had 3 varieties from MD – thistle, locust, and wildflower, and 3 from different parts of the country – blueberry, orange blossom, and buckwheat. Buckwheat honey from Wisconsin is dark like molasses, and has a very earthy taste. It is not my favorite but there are people who appreciate it. I love thistle honey from MD which has a floral note that is sweet, but not too sweet like orange blossom honey. When people taste the blueberry honey, they are disappointed that it doesn’t taste like blueberries! I explain that it is the nectar from the blueberry flower in Maine that the bees collect and not the fruit itself. People are very curious about honey and honeybees and this give me an opportunity to talk to interested people about my favorite hobby. At the demonstration hive which is just an enclosed glass beehive, my husband explained beekeeping to an enthralled audience. The queen is marked so you can easily see her move around and kids are fascinated. Chunk Honey, which is a large piece of honey comb in a jar of honey – Delicious! 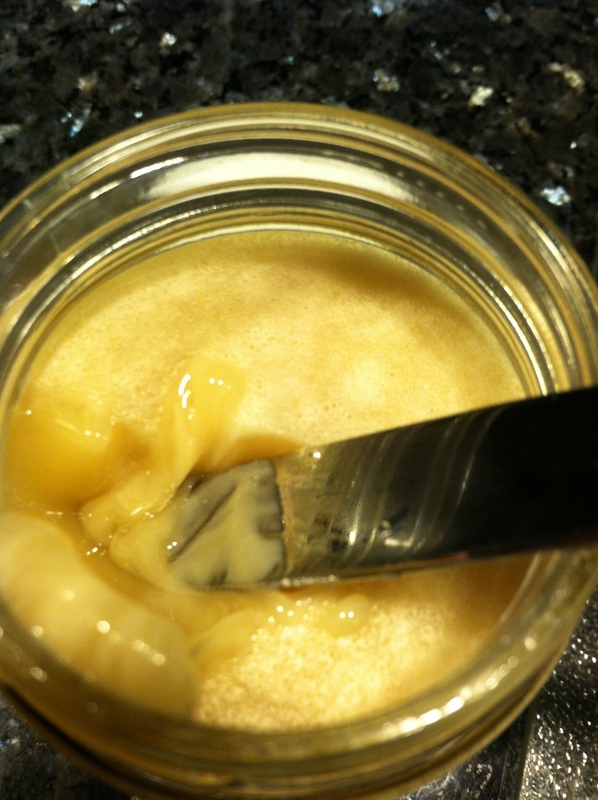 Not many people looked at the chunk honey which is just a large chunk of beeswax dropped into a jar with honey. From my days of extracting honey, I have become addicted to the taste of chewy tasty honeycomb. I tell people who aren’t sure what to do with it, just to take a large spoonful of the honeycomb dripping with the honey and gobble it up. 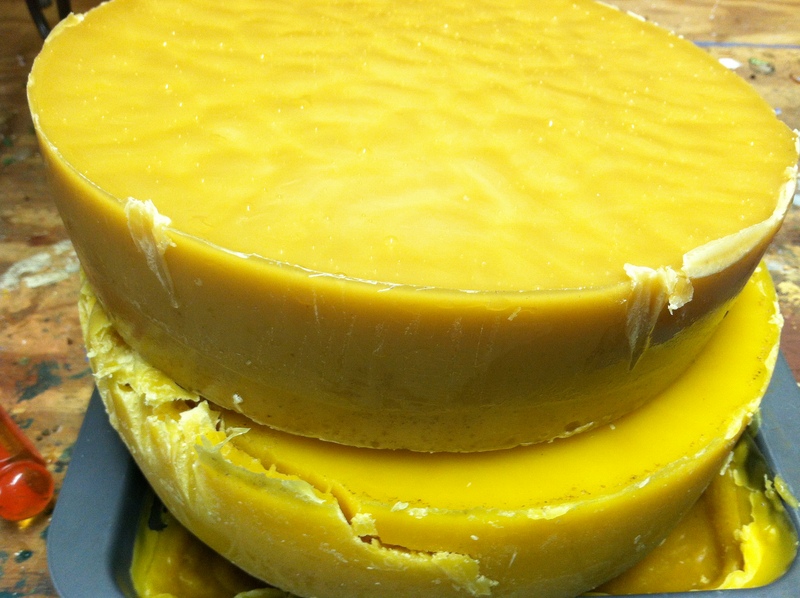 The beeswax is chewy and delicious like bubble gum and you can spit the wax out when you are done extracting every bit of honey from it, or you can swallow it. 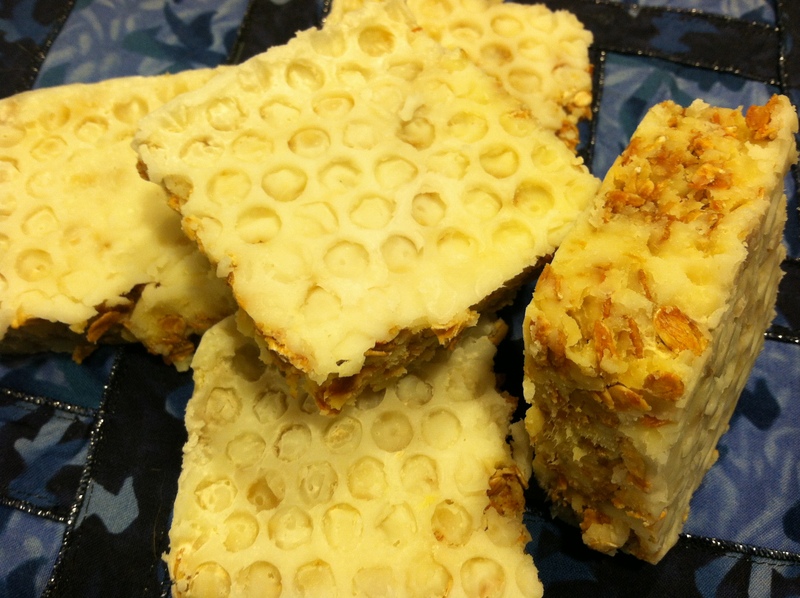 The honeycomb is actually good for you! My next favorite is creamed honey. This is simply a very creamy crystallized honey product. It is processed commercially with seed crystals in precisely controlled temperatures to crystallize to a smooth consistency. 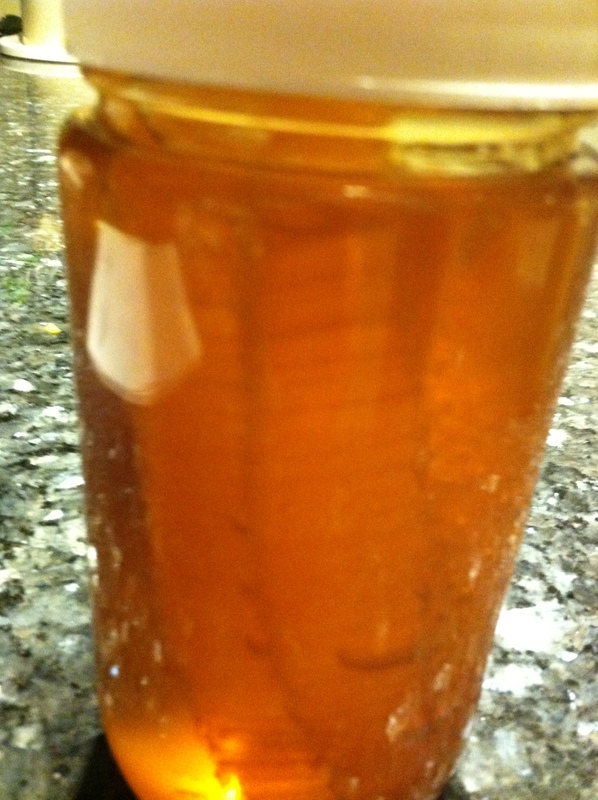 As anyone who has honey crystallize in the jar, the resulting product can be very grainy and unappetizing. But with the invention of creamed honey in the 1920’s, a mild spreadable butter-like honey that doesn’t drip became possible. Whenever I made a honey sale, I was sure to tell people to store their honey in a warm place, such as a sunny windowsill. Honey needs to be warm so it will not crystallize into big granulated chunks. Never put honey in the refrigerator! It will crystallize very quickly in cold conditions. If the honey starts to crystallize, just set the entire bottle in a saucepan of water on the stove and heat very slowly. Shake the bottle once in a while to distribute the heat and continue until all the crystals are gone and it is a runny consistency. 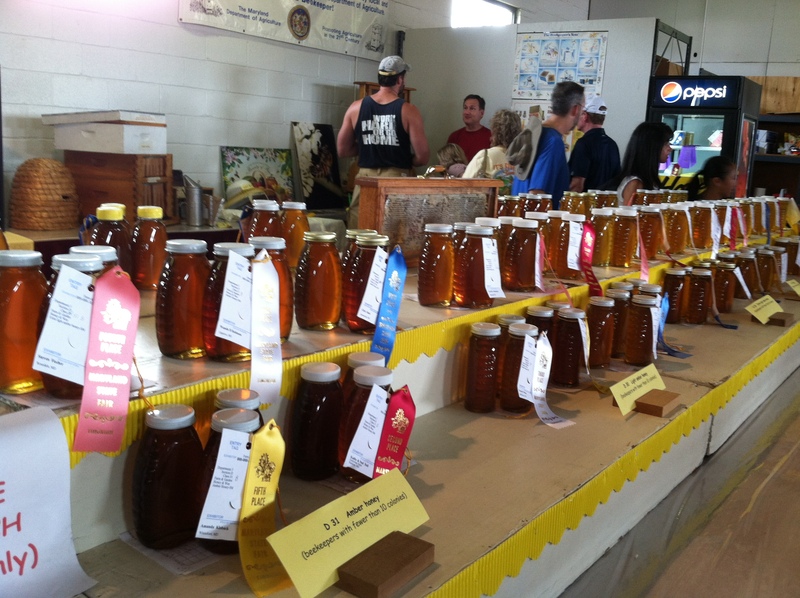 There were lots of other interesting honey products and inventions that gave me ideas for my own hives. Seeing all the exhibits inspired me to show or sell some of the things that I have been making out of beeswax at next year’s fair. 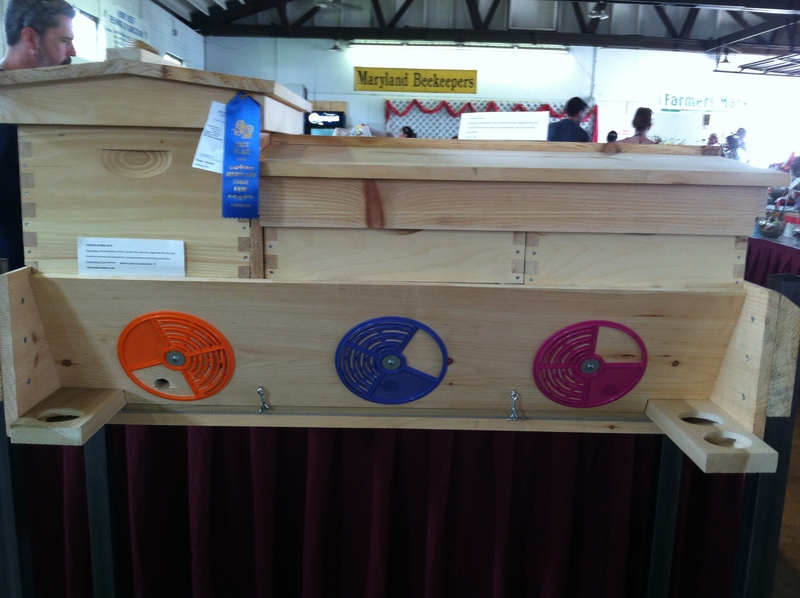 This combination hive that won the first prize really intrigued me because it combines two very different kinds of hives that you never see together. But it was ingenious how it all fit together. I need to find out more about it because I really can’t explain how it is used. I have plenty of beeswax that I have accumulated over the years and finally decided to do something with it the past couple of weeks. 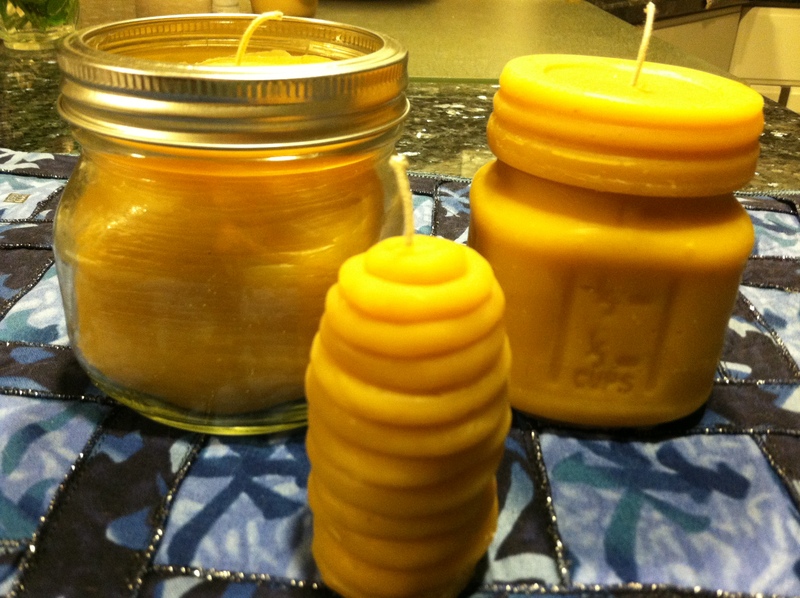 I am definitely going to take some of my candles and soaps to the fair next year and maybe bring home a blue ribbon! Thanks for such an interesting post – I always wondered why my honey chrystalised after a while and I now believe that my pantry is too cold for it! Yes, You can’t even extract honey when it is too cold. I tried! Great site and I’ve added it to stumbleupon. Great effort and big thanks! Thanks Charlotte! I love the bees! Yummy yum yum! I love this interesting post! Thanks so much for explaining that new type of hive. I am familiar with the top bar hive and use the langstroth traditional hive, so was intrigued with the blending of the two. I am an all natural beekeeper and threw away all my chemicals years ago, so appreciated learning about your courses and methods. 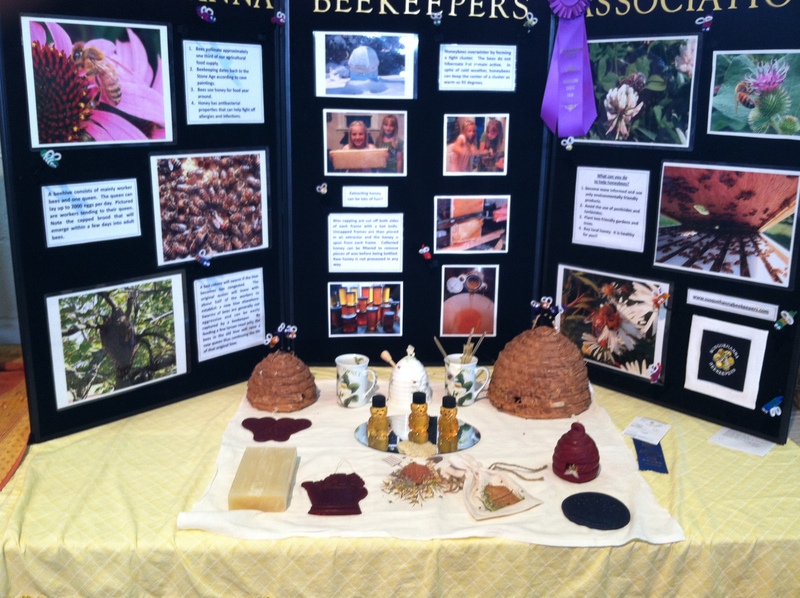 At the fair, I was working with all new beekeepers at the booth. Every one of the beekeepers was young and had just started a hive this year or last. That is so encouraging to me because when I started 10 years ago, beekeeping was dominated by men and they were mostly over 60 years of age! Looking at your exhibits, I made a note to myself to look up your name because you had a lot of great looking entries. You have certainly inspired me for next year to really make a push to enter some different items. I am working with some young ladies at the Science Center in Baltimore to set up new beehives on their green roof in early 2013. They came over to look at my hives and I will be mentoring them in their start up. Nice to hear from you! Exciting to hear about these young ladies at the Science Center in Baltimore. The more honeybees in this great city, the BEEtter we are. So pleased to read of your tossing the chemicals out of your hive(s)…. BIG BUZZZ~!~BUZZZ to you and Thank You! Here’s a little FYI shared to your many followers…. Baltimore Honey’s Spring 2013 All Natural Methods & Practices of Honeybee Stewardship Workshop registration is now open online at BaltimoreHoney.org. The workshop sessions 1 of 5 starts on February 3 ( Sunday). Thanks for the information. I would love to do a blog on your methods sometime. I read the information on your website and I am interested. No smoke, and no sugar feeding? I am very curious. Next PostNext Saddlebacks are Back!